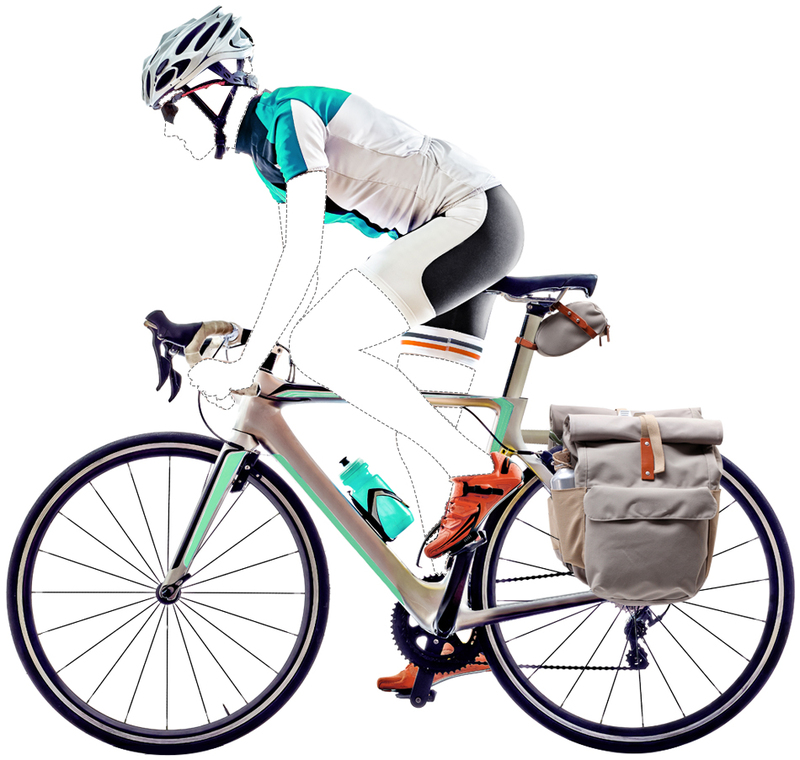 Less is more when it comes to packing for your cycling holiday. Zoom’s interactive packing tool will send you off soaring with only the very essentials along for the ride. Hover over the words below for some wheely great packing ideas. Get on your bike and get ready to Zoom! There’s nothing better than capturing the landscape as you pedal to the metal and a helmet-fastened go-pro is the perfect way to do so, hands-free! 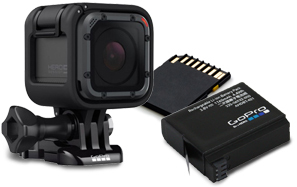 Just don’t forget a spare memory card, a USB stick and some spare batteries. It's easy to forget how exposed you are when travelling by bike. 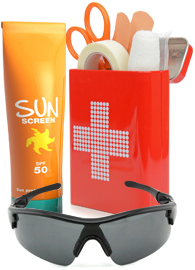 Protect yourself from the extremes with a helmet, hat, riding gloves, sunglasses, sun block and insect repellent. A first aid kit and pocket knife will come in handy too. Your safety while cycling should be your number one priority and you should be prepared dark and hazy weather conditions. 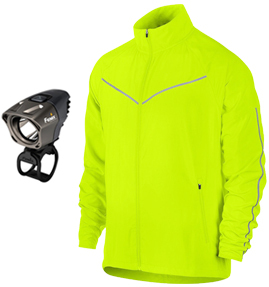 Reccomended safety gear worth bringing along include a high vis jacket, bicycle light and a spare torch and spare batteries. 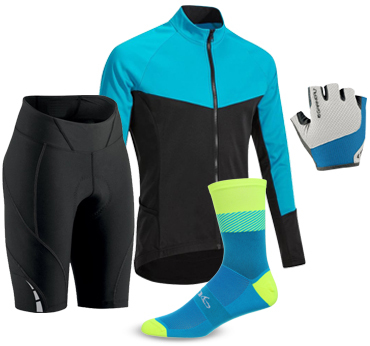 A well-pressed cycling wardrobe will keep you prepared for all temperatures and weather conditions! Make sure to pack a wind and rainproof jacket, cycling gloves, waterproof shoe covers, cycling leggings, cycling shorts, cycling shoes, short sleeved T, long sleeved T, full body waterproofs, wool socks, thongs. Packing light is the aim of the game, but no one wants to scare off the locals with your stench! 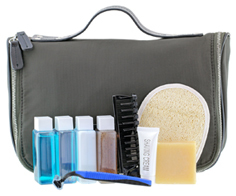 Travel sized toiletries are your new best friend. You won’t get very far without the appropriate paperwork. Ensure your cycling soujurn doesn't hit a road bump by making sure your passport, visas & travel insurance documents are well secured and within reach. Sleepless nights on your bike break can turn into a nightmare without the appropriate gear. Spend top dollar on a quality sleeping bag and a lightweight tent when you’re planning on camping on the fly. 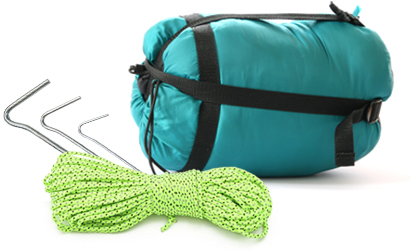 Spare pegs and tent ropes may come in handy too. Flats or punctures mid-ride are never fun! 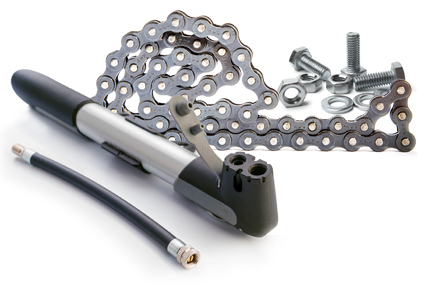 To ensure your ride doesn't fall flat, pack a patch kit, mini pump, spare spokes, spare tube, spare chain, spare brake pads, extra nuts, bolts & wire. Don’t get tyred on route. It’s important to stay well hydrated and energized when cycling for long distances. 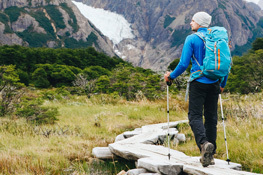 Never set off without a full water bladder, hydration sachets and a few high protein treats to keep you going. You may well consider yourself Lance Armstrong on steroids, but even the most experienced of riders can fall off the map. Riding a two-wheeler in a foreign land can seem fun and free, until you find yourself lost and lonely. 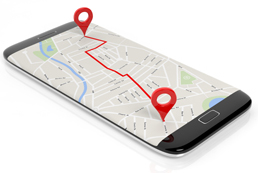 At the very least have a local map on you and enable your mobile phone's GPS. Being stuck mid-mountain without a spoke wrench would really throw a spanner in the works! 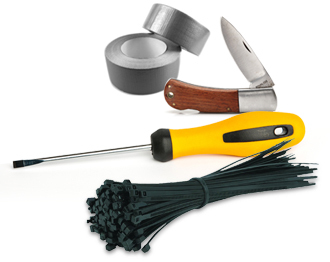 You’ll be ride-ready to tackle all obstacles with the following pieces of equipment; blue loctite, electrical tape, allen wrenches, screwdriver, brake cable, derailleur cable, zip ties, chain lube and rag, hoseclamp, duct tape, bungie cords, lock, pocket knife. Have questions on cover? Our handy FAQ's help to answer all your curly questions!